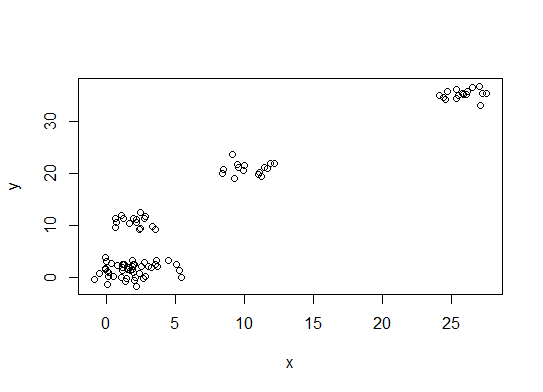 Being a newbie in R, I'm not very sure how to choose the best number of clusters to do a k-means analysis. 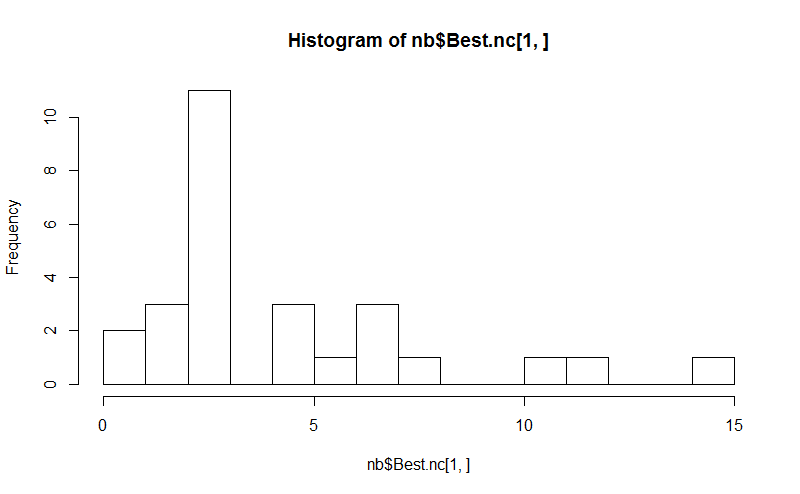 After plotting a subset of below data, how many clusters will be appropriate? 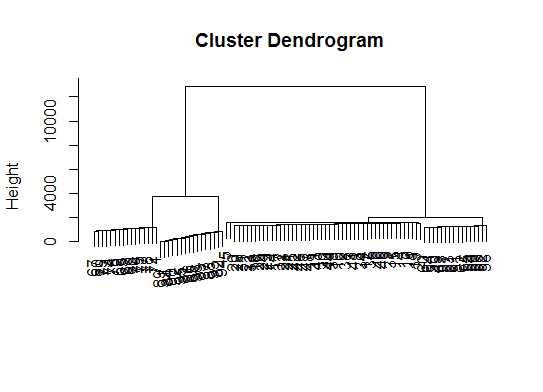 How can I perform cluster dendro analysis? 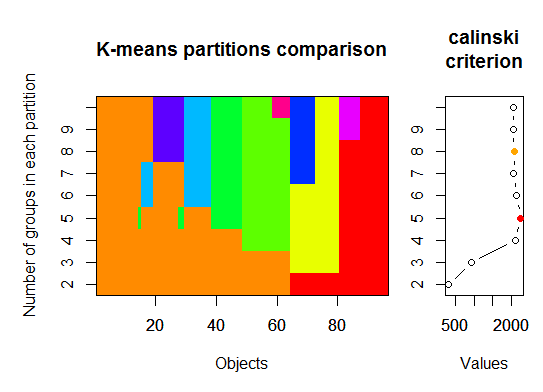 If your question is how can I determine how many clusters are appropriate for a kmeans analysis of my data?, then here are some options. 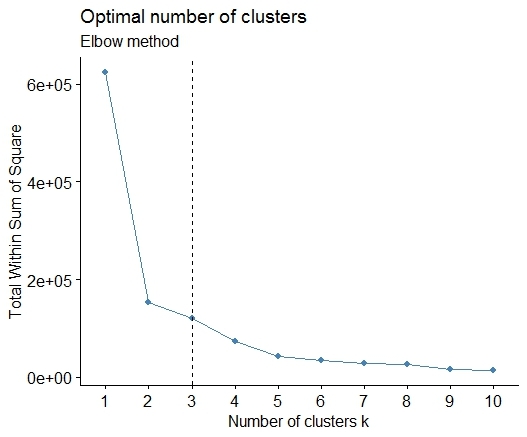 The wikipedia article on determining numbers of clusters has a good review of some of these methods. Two. 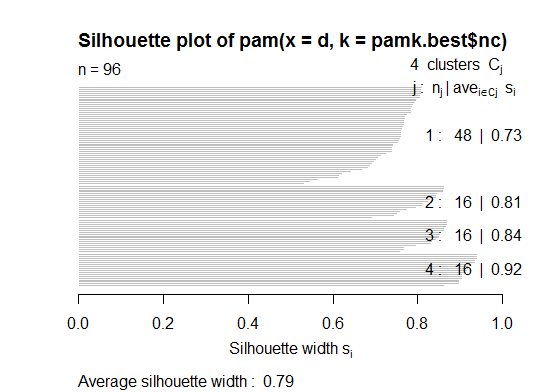 You can do partitioning around medoids to estimate the number of clusters using the pamk function in the fpc package. Three. 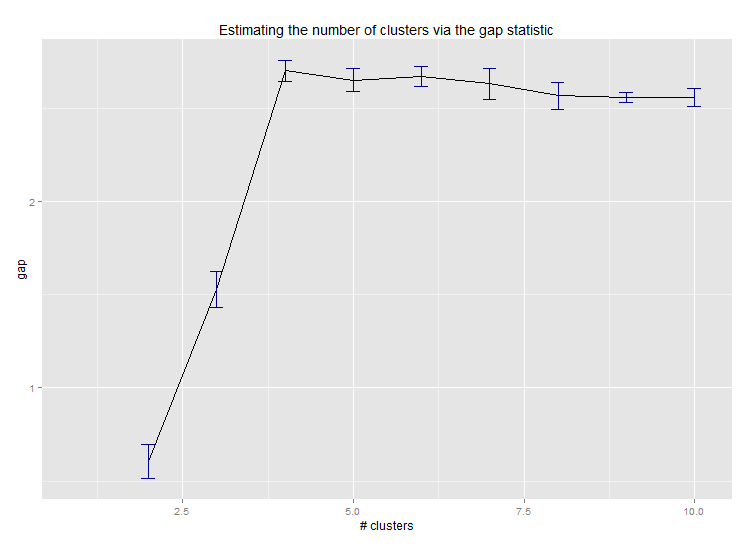 Calinsky criterion: Another approach to diagnosing how many clusters suit the data. In this case we try 1 to 10 groups. # at least 1 model and up 20. Seven. 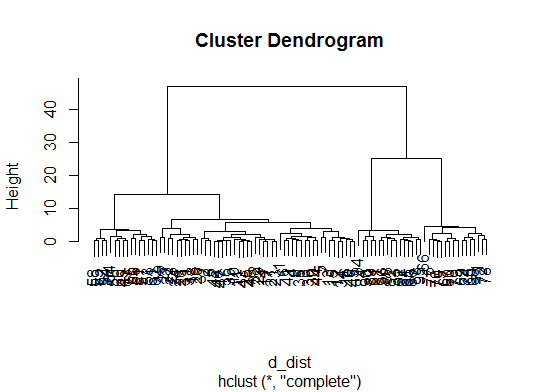 You may also find it useful to explore your data with clustergrams to visualize cluster assignment, see http://www.r-statistics.com/2010/06/clustergram-visualization-and-diagnostics-for-cluster-analysis-r-code/ for more details. Eight. 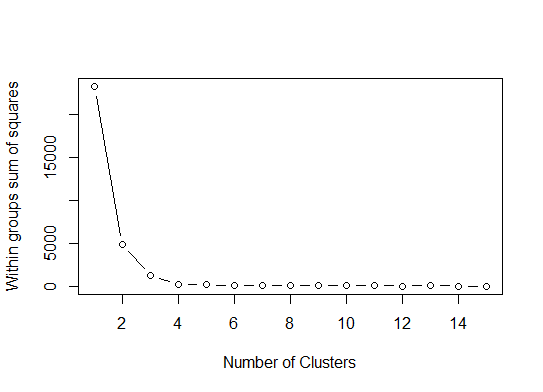 The NbClust package provides 30 indices to determine the number of clusters in a dataset. 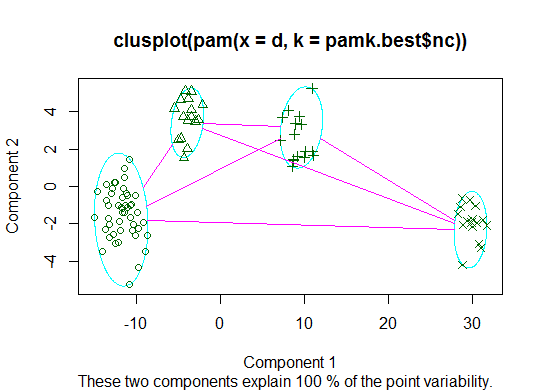 # and curiously, four clusters is not in the output at all! It's hard to add something too such an elaborate answer. 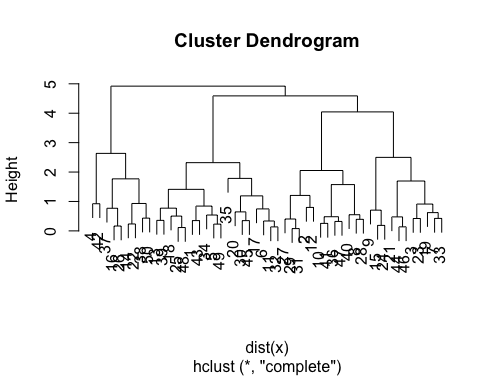 Though I feel we should mention identify here, particularly because @Ben shows a lot of dendrogram examples. identify lets you interactively choose clusters from an dendrogram and stores your choices to a list. Hit Esc to leave interactive mode and return to R console. Note, that the list contains the indices, not the rownames (as opposed to cutree). Frey, Brendan J., and Delbert Dueck. 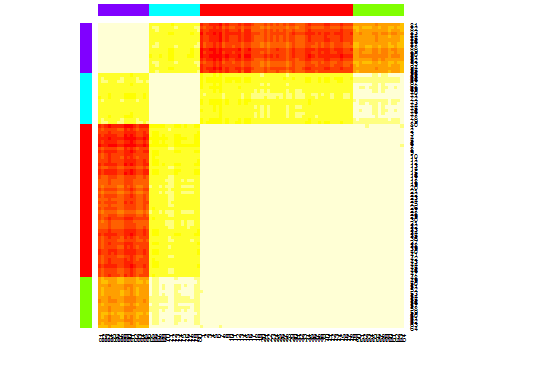 "Clustering by passing messages between data points." science 315.5814 (2007): 972-976.
depending on what you want to cluster on your matrix (rows or cols). 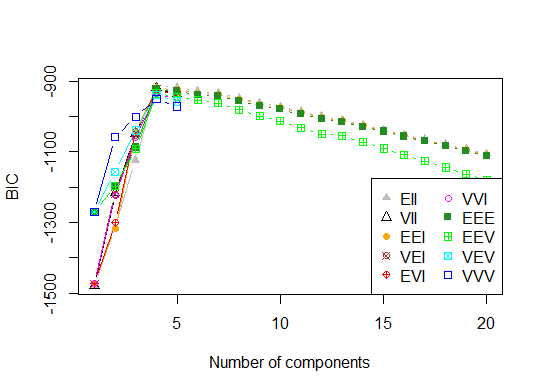 These methods are great but when trying to find k for much larger data sets, these can be crazy slow in R.
A good solution I have found is the "RWeka" package, which has an efficient implementation of the X-Means algorithm - an extended version of K-Means that scales better and will determine the optimum number of clusters for you. First you'll want to make sure that Weka is installed on your system and have XMeans installed through Weka's package manager tool. C = 0.4,                           # cutoff factor ??? The answers are great. If you want to give a chance to another clustering method you can use hierarchical clustering and see how data is splitting. If you type ?cutree you will see the definitions. If your data set has three classes it will be simply cutree(hc.complete, k = 3). The equivalent for cutree(hc.complete,k = 2) is cutree(hc.complete,h = 4.9). Not the answer you're looking for? Browse other questions tagged r cluster-analysis k-means or ask your own question. How do I automate the number of clusters? 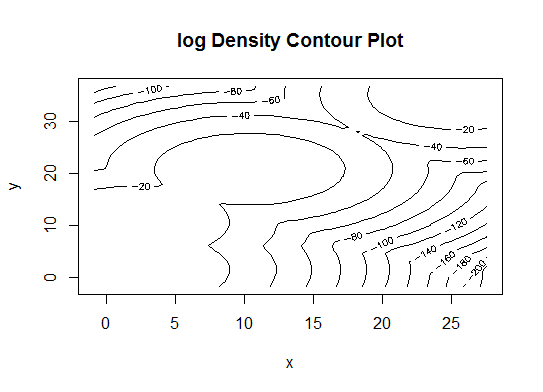 How to plot this cluster in R? 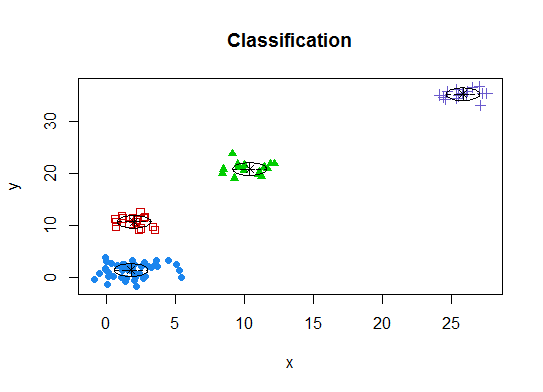 How to get the optimal number of clusters using hierarchical cluster analysis automatically in python?